Good evening, ladies and gentlemen, and welcome to the debut of Historical Fight Night presented by What If, where we take fighters from across eras and set them in the ring to do battle for your entertainment. Tonight, our main event features Sugar Ray Robinson taking on Carlos Monzon in a middleweight battle for the ages. The co-feature is a flyweight contest between early-’90s superstar Michael Carbajal and a still only 20-year-old Manny Pacquiao. These fights will be 12 rounds, scored in modern 10-point must style, and the Unified Rules of the Association of Boxing Commissions are in effect. Each fighter is put in a time machine on the night of his greatest triumph at the particular weight class in which their Historical Fight Night contest is being fought; bear that in mind as you read. For example, a guy like Bernard Hopkins, who we’ll be seeing as this series goes along, scored all 32 of his professional knockouts at middleweight and super middleweight, and his power peaked in about 1997; there’s a big difference between “The Executioner” and “The Alien”, the persona he’s taken on at light heavyweight as he’s passed 50 years of age. Put 1997 Hopkins in against a historically great middleweight and it’s a totally different fight than putting 2013 Hopkins in a light-heavyweight contest. The methodology here will lean heavily on that. In addition, we’re giving our fighters an eight-week camp with 2015-quality sports medicine and nutrition after they get out of the time machine. Try not to break your brain too hard on this—just trust that the “it was a different time, people trained differently back then” factor has been controlled for and/or handwaved in the interest of creating a good story. It’s time travel, for cryin’ out loud, and you want pinpoint accuracy? Now then, without further ado…let’s break some history. Michael Carbajal was one of the most exciting little guys ever to lace up the gloves. Spending most of his career at junior flyweight, he’s moving up four pounds in camp to campaign as a flyweight for this fight. 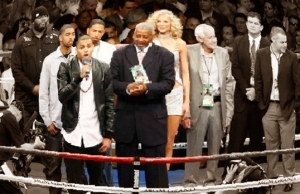 He finds himself in the time machine fresh off of his second defense of his combined WBC and IBF titles at 108 pounds and third defense of the IBF belt overall, when he knocked out Domingo Sosa in five rounds of an absolute blowout of a fight. The then 26-year-old Carbajal’s devastating knockout power was never greater in his career as when he brought it to bear on the face of his opponent that night. He brings a record of 29-0 (17 KOs) into this fight. Meanwhile, Manny Pacquiao, age 20, finds himself in off his first defense of the WBC flyweight title he’d won from Chatchai Sasakul four months prior. He knocked out Gabriel Mira in four rounds of a different sort of “Thrilla in Manila”, running his record to 26-1 (17 KOs) in the process. If there’s one thing Manny Pacquiao has always been able to do in his career, it’s been to bring his superior hand speed to bear on any opponent who’s not fast enough or clever enough to counter him. The style matchup favors the Filipino here, who also enjoys a style matchup, and as Carbajal tries to come forward and do some damage, he finds himself second-best on the bulk of the exchanges in the first round. Pacquiao at flyweight was a swarm of mosquitoes with the sting of a tarantula hawk wasp, and Carbajal found himself eating shots both during the engagement itself and, when Pacquiao fought more defensively, as he tried to escape after throwing punches that were blocked or dodged by the man in front of him. Ringside observers knew that this was not going to be nearly the barn-burner advertised; it was one-way traffic throughout the first round, and as Michael Carbajal went to his corner after the bell, it was with swelling already beginning to form under his left eye from the southpaw right hooks landing pretty much at will upon his face. The second round was “second verse, same as the first, a little bit louder and one hell of a lot worse.” Pacquiao began to come forward and lead with that hook, attacking the eye of Carbajal, breaking his will in blitzkrieg fashion. For two minutes the attack was relentless, Carbajal’s attempts to counter withering under the furious barrage of the wild little man in front of him. Finally, with 55 seconds left in the round, Pacquiao unleashed the weapon he’d been waiting for the right moment to put across; a vicious straight left hand broke the nose of Michael Carbajal and sent him to the canvas to stain the floor crimson. The referee reached the count of ten and the fight was over. 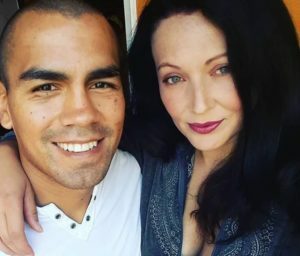 Manny Pacquiao may be infamous for his inability to handle counter punchers, but Michael Carbajal is not Juan Manuel Marquez or Floyd Mayweather. Pacquiao very simply ate his lunch. RESULT: MANNY PACQUIAO KO2 MICHAEL CARBAJAL. 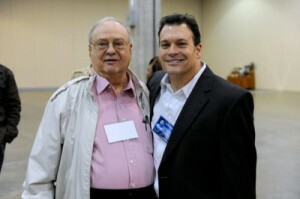 A fight forum could tie itself in knots with this matchup. Carlos Monzon is arguably the greatest middleweight fighter ever to lace up the gloves, and the “arguably” part comes mainly from how the person making the argument feels about Sugar Ray Robinson, the all-time pound-for-pound king and the man for whom that term was coined, at 160 pounds, or indeed whether Robinson should be ranked historically as a middleweight or a welterweight. In this particular instance, we’re putting Robinson in the time machine fresh off the St. Valentine’s Day Massacre of Jake LaMotta in the sixth and final contest between the two men—LaMotta at this point in history had the distinction of being the only man to defeat Sugar Ray in fistic combat, which he did to a then 40-0 Robinson in 1943. For Monzon, he comes into this fight fresh off the Ring Magazine 1970 Fight of the Year, a 12-round demolition of Nino Benvenuti that featured a constant collection of vicious power shots that slowed and finally stopped the then-champion; many believed Monzon didn’t have it in him to seize the belt that night. Monzon would knock Benvenuti out in three in the rematch, but his greatest win was in the first fight. Robinson’s fight plan was a fairly simple, time-tested one in this fight. Even though Monzon enjoyed a three-inch reach advantage, it was Sugar Ray who had the better ability to deliver a punch on target, and he could beat any man in the world to the punch on his best night. Bear in mind that Robinson turned pro at lightweight; he never lost that lightweight speed even as he moved up the scale. 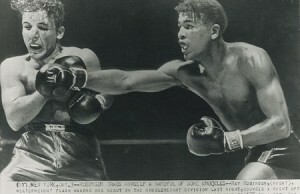 Against Joey Maxim, all the way up at light heavyweight, Robinson was still the faster man until the 103-degree heat of that outdoor venue sapped him more than Maxim’s punches did. Carlos Monzon was forced into a position where he had to give up his height and his length and try to shorten the distance. Not for nothing, however, did Muhammad Ali refer to Robinson as his idol; the rope-a-dope and Ali’s ability to clinch when the situation required it can both trace their lineage directly back to one Walker Smith Jr. out of Harlem. What this meant in boxing terms was a feeling-out process in Round 1 where Robinson kept Monzon at the end of his jab as the Argentine tried to find a way in other than just trying to walk through some very stiff shots. Monzon had a better go of it in the second. He was able to use his superior reach and a snappy jab to blind his opponent and close range, and at least for the moment, Monzon was able to get inside on Robinson and get a sweeping right cross in to the body of his opponent before Sugar Ray was able to tie him up. It wasn’t pretty, and the fans didn’t like it, but “jab, jab, step forward, cross, let the referee do his job” got to be on repeat for three minutes as Monzon had a much better round than the first had been for him. He would repeat this pattern in rounds 3 and 4, racing out to a consensus three rounds to one lead. The problem with starting to lean on a one-dimensional strategy is that eventually the opponent’s going to figure it out, and when your opponent is one of the craftiest defensive fighters who ever lived, and a guy who at the same time had legendary ability to fire off stiff shots even from the back foot? That can’t end well. Which is how Carlos Monzon found himself stepping forward after a second jab just like usual, only to find that Robinson had slipped that second punch in a perfect angle to come right back with a right hook that landed right on the liver of the man from Santa Fe. Monzon hit the canvas and it looked like there was no way he’d be able to beat the count, but summoning the kind of power usually only seen in superhero movies and WWE set pieces, Monzon rose, still wincing in pain, at the count of nine. 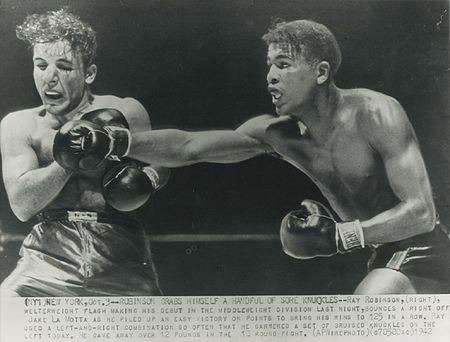 It was the opening that Sugar Ray Robinson was looking for. He came forward, unleashing jabs and hooks and straight rights in volume and with devastating accuracy. He closed range, and his naturally smaller stature compared to the length of his opponent meant that his work on the inside was far more effective than the work that had been done against him in the previous three rounds. Robinson placed shot after shot on the body of Monzon, inflicting the kind of pain that no man ought to be able to endure, and the bell sounded to end the round with Robinson firmly in control. Finally, it was Carlos Monzon who said “no mas”, quitting on the stool and failing to answer the bell for the sixth round. The greatest fighter of all-time pound-for-pound had done it, establishing that he was every bit as potent at 160 as he had been when building up his reputation at 147. RESULT: SUGAR RAY ROBINSON TKO5 CARLOS MONZON. 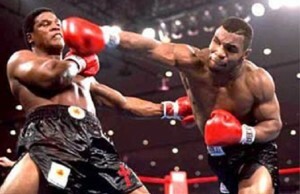 What If returns to its regular Tuesday time slot with a look at “What if Bernard Hopkins quit after that first pro fight?” With an all-time great permanently shelved with an 0-1 record, we look at the state of the 1990s middleweight and 2000s light heavyweight landscape. Historical Fight Night’s not going anywhere, though—with ESPN2 bringing Friday Night Fights to a close on May 22, Historical Fight Night returns May 29 to bring you a little different sort of Friday night boxing show. Our main event features legendary lightweight Tony Canzoneri taking on Julio Cesar Chavez, while the co-feature brings in a light heavyweight showdown between Michael Spinks and darling of the What If gutter press Billy Conn, two guys who may be known to history for their exploits at heavyweight but whose runs at 175 pounds were ultimately more successful for them. Stay tuned for that, two weeks from Friday. Fox Doucette covers Friday Night Fights for Boxing Tribune News and writes the What If alt-history series for The Boxing Tribune. Some wondered what he’d do after FNF ended—now you know. Fan mail, hate mail, and suggestions for future editions can be sent to beatcap@gmail.com.